"A teenager being used of God." Imagine diligently saving up for six, long years before trekking 26 miles barefoot through difficult terrain — all in an effort to purchase your very first Bible. This might seem like an absurd scenario in our modern era, especially considering the Bible’s wide availability via free downloads to any and all smart phones and tablets — but, historically, not everyone has been so lucky. Even today, the scriptures are banned in some countries, leaving believers who want to study the Bible in a difficult spot. With that in mind, there’s a remarkable story that has circulated for centuries in Wales about a teenager named Mary Jones who, in 1800, was apparently so excited to learn that, for the first time in her life, the Bible would be available in her language, that she embarked on a remarkable quest from the village of Llanfihangel-y-Pennant to the town of Bala to secure a copy. Jones had apparently fallen in love with the Bible as a young child and, after learning how to read, told her parents she simply had to have a copy. That’s when Jones decided she would save up on her own to purchase a copy of the book, spending years storing away all of her pennies in an effort to save money to cover the expense. Then, once she had enough in her purse, she took off on the tough and long journey. When she arrived in Bala, she found the Rev. 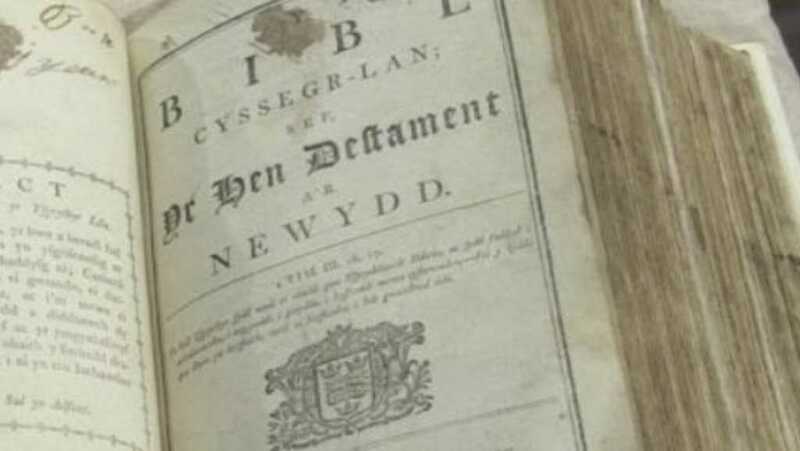 Thomas Charles, who helped her secure a Welsh-language Bible. And, after learning all the details of Jones’ traveling travails, he was so moved he offered her two extra copies free of charge. Jones left Bala the next day with her heart full of joy, clutching the Bibles as she embarked on the 26-mile quest back home. When she arrived in her village, the Bible Society said her friends and family threw her a big celebration. But that’s not the end of the story, as Charles, who was also inspired by the teenager’s quest for a Bible, was apparently so touched that he helped in forming the British and Foreign Bible Society (now the Bible Society) four years later in 1804. Jones’ quest was clearly a remarkable story of devotion that resonated among the faithful in the area and, to this day, is told as a key piece of the history surrounding the inspiration for the formation of the Bible society — a group that has helped to translate the Bible into thousands of languages for others around the globe. Remarkably, the teenager’s actions continue to draw attention 216 years after her notable journey. In fact, earlier this year more than 1,000 people flooded to the Mary Jones World Visitor Center on March 19, 2016, to see one of Jones’ Bibles, which was on display during a six-hour window of time, according to the Cambridge University Library. According to Dr. Onesimus Ngundu, who oversees the Bible, Jones’ quest proves an important lesson about God: That he can use people in unbelievable and unexpected ways.